Comments: Condition Acceptable: Comment: Book is used and in acceptable condition. This may include heavy wear or tearing to cover, heavy wear to the page, heavy highlighting/writing on pages, spine damage, and stains/water damage. All orders ship via UPS Mail Innovations. Thank you for shopping with Goodwill Industries of the Inland Northwest changing lives through the cycle for good. 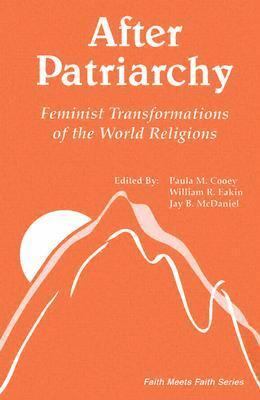 After Patriarchy: Feminist Transformations of the World Religions (Faith Meets Faith Series), 1st was published 1991 under ISBN 9780883447482 and ISBN 0883447487. Loading marketplace prices 7 copies from $2.07 How does the rental process work?